This statistic depicts the percentage of disability-adjusted life years lost attributable to alcohol consumption in 2010, sorted by type of cancer. 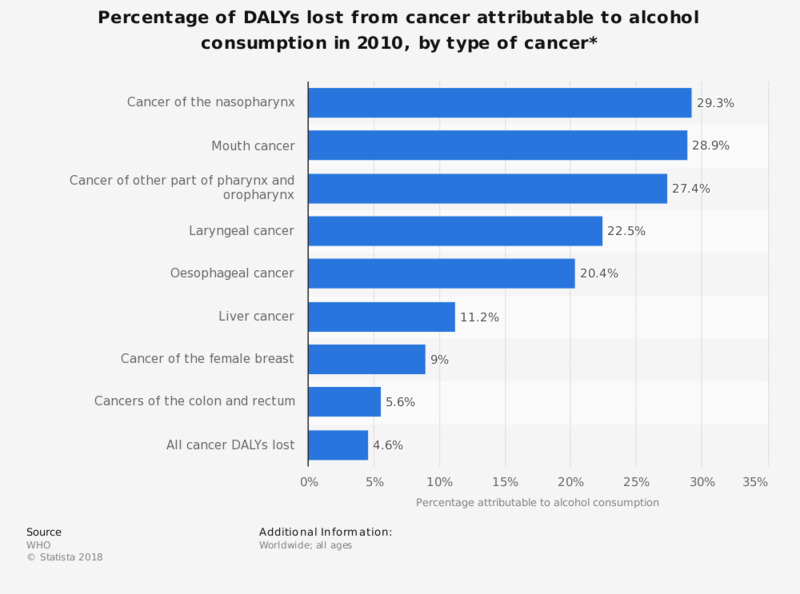 As of that year, almost 29 percent of all DALYs lost due to mouth cancer were attributable to former alcohol consumption. * DALYs = Disability-adjusted life years. Statistics on "Cancer care in the United Kingdom"
How many times did you see your GP before you were told you needed to go to hospital?